In 1985 I was a young Airman stationed at McChord Air Force Base, just south of Tacoma, WA. The dormitory I lived in was a run down relic on the southwest corner of the base. It was a two story affair with a long interior hallway that all of the room doors opened into. It was pretty common for people to leave their room doors open while just hanging out, listening to music or whatever. Other people would wander by, hear something interesting and pop in for a listen. This was a real education in “new” music. The people I lived with and worked with were from every corner of the country, and many had traveled and lived abroad. This made for a veritable melting pot of music; rock, rap, pop, country, world… you name it. A friend came into my room one day with an armful of vinyl. He handed them to me and said “I want you to have my Steely Dan records.” It turns out he had gotten into some trouble (weed) and was being shipped off to the equivalent of and Air Force chain gang. “You are the only one who will appreciate these.” he said as he left and I didn’t argue. Aja was one of the first records I had bought with my own money. My older sister and I had a deal, I’d buy a record, she’d record it to 8-track for me and keep the vinyl. Well, that 8-track was long gone, but here was a vinyl copy of Aja that just dropped in my lap. Aja is why I love albums. Here are seven individual songs that, when listened to back to back and in the proper order, become somehow more than the sum of the parts. As a kid with a homemade 8-track, this album lived in my crummy portable player for the better part of a year. I must have listened to it 1000 times. I listened to my friend’s record a lot over the next few months, and became entranced with the pre-Aja Steely Dan as well. I saw him a time or two during that time, being marched around from job site to job site, picking up trash or cigarette buts. I got close enough to him one time to make eye contact. He was standing at attention outside the base bank, waiting in line. He gave me a slight nod but the look on his face told me that it would be a bad idea if I tried to talk to him. I walked out to my car, rolled down the window, put my Aja cassette in and cranked up whatever song happened to be cued up. I gave the group a slow drive by, hoping my friend would catch enough of the music for a bit of cheer. A few weeks later I heard he had been kicked out of the Air Force, dishonorably discharged. I never saw my friend again, but I remember him every time I hear a Steely Dan song. Most of the time, I buy albums because I know/like the artist and want to own and listen to their music. Sometimes you come across a record of a certain style or content that you want to experience or become familiar with. In this case an investment of $0.99 (or less) in a decent LP seems like a good bet. Just over a year ago, my wife and I took our first “real” vacation… just a getaway without family obligations or schedules. 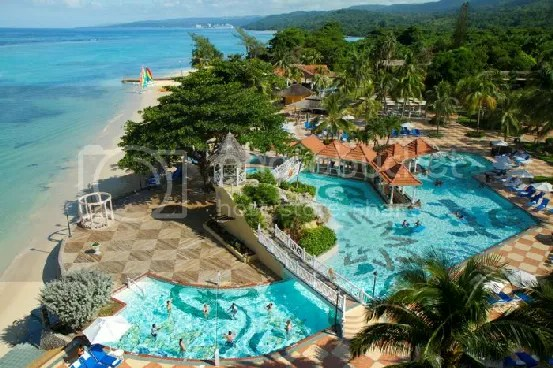 We went to an all inclusive resort in Jamaica. 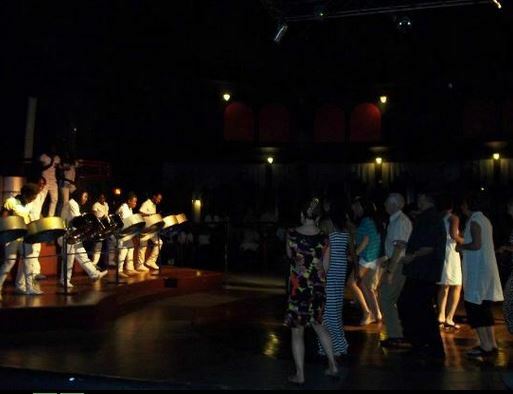 One of the highlights of this trip was an evening performance by the Silver Bird Steel Drum Band. In the thrift store, the vinyl appeared very clean and scratch free. The inner sleeve was there and the outer jacket still had the original shrink wrap, opened, but intact. The label is Tradition Records which was founded by Guggenheim heiress Diane Hamilton and presided over by Patrick “Paddy” Clancy, part of the group The Clancy Brothers and Tommy Makem. I can’t find a release date for the record but It appears to be between 1965 and 1970. Finding a nearly 50 year old vinyl LP that is near mint condition is like finding a needle in a… no, wait. Finding a nearly 50 year old vinyl LP that you care to listen to is near mint condition is like finding a needle in a haystack. I had this record all cleaned up and playing when my wife came home from work. Without a word, she dropped all of her baggage from her workday and started to dance… just like Jamaica! Speculation in vinyl records is a fool’s errand. This fool has a hundred or more records he speculates will bring profitable “in store credit” to his account at a local independent Record Store. The theory is that if you find a unique, interesting, clean (hopefully all three) LP at a thrift store, garage sale, estate auction… whatever, for $1.00 or less your local independent Record Store will happily give you $1.00 (or more) in “in store credit” to spend as you see fit on records of your choice. You see, since I have started this endeavor I have been buying apparently (to me anyway) unique, interesting and clean vinyl LPs by the box-full. Some deals have been too good to pass up, some have been a stretch. All in I’ve probably spent $300 on vinyl (sorry honey) this month. Some of these LPs will go into “the collection”, LPs I hope to play and cherish often in my home. But most will go in dribs and drabs to the three local Independent Record Stores we have here in Spokane, hopefully to net a small margin for me to expand “the collection”. This is the first record I purchased speculatively, Shoes – Boomerang. Mine is promo #214046. Honestly, I had never heard of Shoes, despite the fact that they were active during my formative years and had some MTV exposure. My copy of Boomerang was in a thrift store, visually graded as a VG+ vinyl and sleeve (complete with a protective jacket). After a cleaning the record played very well, just a slight surface noise. The music was a great throwback to 1982… almost a mix between Oasis and the Knack. Would I listen to Boomerang again over some other tried and true record in “the collection”? Probably not, but I’m glad I got to listen to it this one time. I’ll hope my speculation pans out… and I hope the Shoes fan in Spokane that finds this record at 4000 Holes, or Groove Merchants, or Recorded Memories, is as thrilled to have found a unique, interesting and clean copy of Boomerang as I was. Either way, I’ll blog about it! Thrift store hunting for vinyl albums is feast or famine… not 50/50, mind you, I’d say 10% feast and 90% famine. That is not to say that 10% of the records in thrift stores are things you would buy to add to your collection… more like 10% of the stores you enter, you find something worthwhile to take home. Take a recent excursion I went on that included several thrift stores and one “record” store… the “record” store was a complete bust! They did have several new vinyl records, but the selection of used vinyl numbered around 50 LPs, al of which were severely overpriced. For instance, they had a We Are the World LP priced at $19.99. Now, there are recent Ebay sold listings for this LP for $0.99, so what makes this particular record, intrinsically, worth 20 times that? This record may have had an instrumental value back in 1985… if you were daft enough to buy it, maybe starving people would get food? But why is it worth $19.99 today? It would have to be intrinsically worth $19.99, the music contained on the LP would need to be worth $19.99. A few blocks down the road, a thrift store had a predictable selection of scratched up and gross 101 Strings, Mantovani, and Ferrante & Teicher vinyl. Great. My 5th encounter with a Firestone Christmas collection had me asking “why doesn’t someone just shitcan this garbage?”… and then, BOOM! A Warren Zevon – Excitable Boy LP! Sweet! This record contains some of the best music and songwriting I’ve ever heard. Other than the title track, this LP contains Werewolves of London (featuring bass and drums by John McVie and Mick Fleetwood, no less), Lawyers, Guns and Money and (the standout track for me) Roland the Headless Thompson Gunner. This was Zevon’s third album and the one where mainstream radio played songwriter singing his own compositions. Prior to this, Zevon penned songs like Poor Poor Pitiful Me, Accidentally Like a Martyr, Mohammed’s Radio and especially (for me, anyhow) Carmalita were fantastic songs that were hits for other artists. A visual grading of the vinyl showed it to be in very good condition, well worth the $0.94 asking price. After a thorough cleaning, the record does play as expected, a little surface noise, but all in all an exceptional recording! It does lack a bit of dynamic, possibly due to production by Jackson Browne? Anyway, this is a solid addition to the record collection… one I will cherish way more than any $19.99 copy of We Are the World! R.I.P. Warren Zevon, I will enjoy every sandwich! I don’t remember why I despised Helen Folasade Adu. It may have been the ubiquitous presence of the song The Sweetest Taboo on radio, TV and bar of 1985. It may have been the perception that this seemed an altogether manufactured musical substance… the good-looking, but exotic (to me, anyway) singer, surrounded by the band from Simply Red or Culture Club. Nothing could change my mind. I was in that finger-in-the-ears “I can’t hear you!” position… Helen, now just Sade, was just the worst of the other one named female singers of the time, without the vocal gymnastics. A friend, and American Sargent, newly transferred from England (after a lengthy stay) to Tacoma, sang the praises of Sade… (To be fair, he always alluded to her physical charms alongside her musical acumen, but I would have none of either!). (I used to do live sound for some small bands) I had set up the sound system for some show and decided to put Promise on to see if everything was working OK… From the first track, the sound that came out just blew me away! Jazzy, but not pretentious, funky but poppy, not muddy, and those vocals… more torch than Tesh! Why had I missed this?!? confirmation bias? Who knows, the bottom line was I was hearing some 10-year-old music for the first time. I listened, then I increased the volume, and I listened again… eyes closed, sitting in the “sweet spot” of the theater, and was blown away! A friend who owned a neighboring store heard this music resonating from the theater and came in to investigate… she sat next to me in the sweet spot, shook her hair out-of-the-way and smiled… “nice!” she said… although I couldn’t actually hear her. 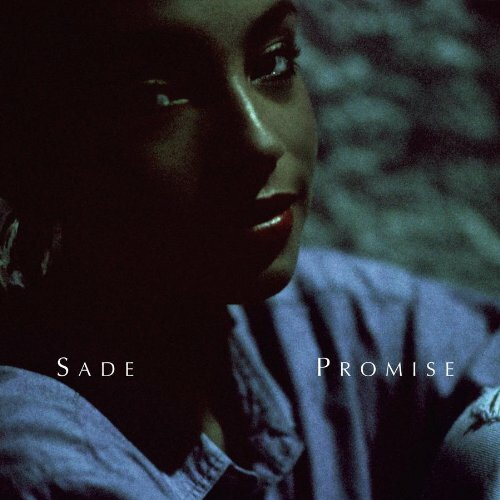 Since then, I’ve acquired several Sade CDs… but thanks to RRR Auction/Estate, I now own Promise for $0.05! This vinyl record is a unicorn… (as close to pristine as I have found, proving that unicorns DO exist). 95% out of 100% low surface noise, tracks all very dynamic and full of “life”, just a joy to listen to! 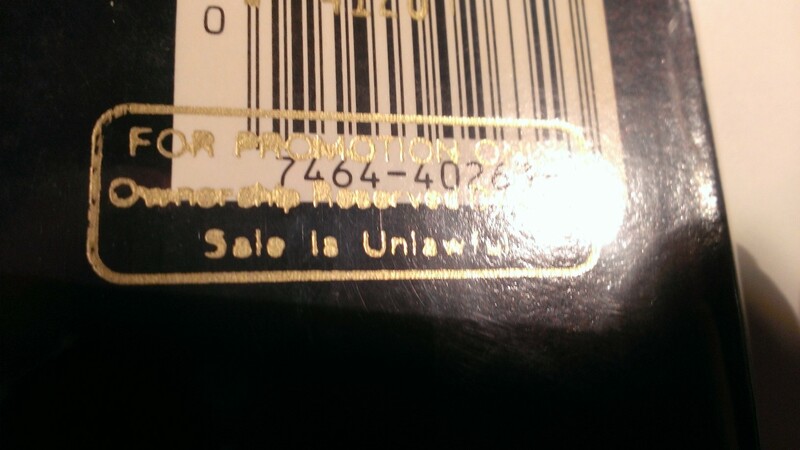 I did notice that there was a “for promotion only” stamp over the UPC… I assume this was a DJ or promoter copy of the record that was played very little, if at all. The Sweetest Taboo is the hit on this record, but the standout song is side #2, song, #1, Mr. Wrong. I’m always searching for vinyl that I can count on to give the best possible impression to a visitor that asks “which is better…”, now I have one more in my arsenal to help answer that question. Rick Wakeman’s – The Six Wives of Henry VIII. First of all, I recognized Wakeman’s name as the keyboard player for the band Yes, but the title, The Six Wives of Henry VIII threw me for a loop. 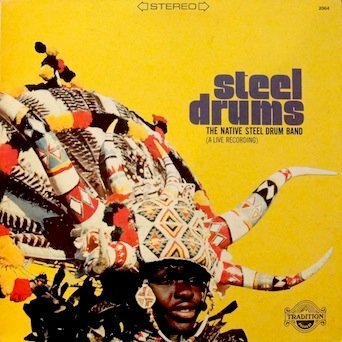 I had definitely never heard of this record before, was it a concept album? A band? A joke? Then I paid attention to the cover art. There’s Wakeman, jeans and sneakers, casually walking in front of a portrait of… no, no a statue of… no! Madame Tussaud’s wax figures of Henry VIII and his Six Wives! It almost looks as though the photo was taken accidentally. The musician list included other members of Yes, including Chris Squire, Steve Howe, Alan White and Bill Bruford. I had that feeling when listening to yet another record liberated from RRR Auction/Estate. 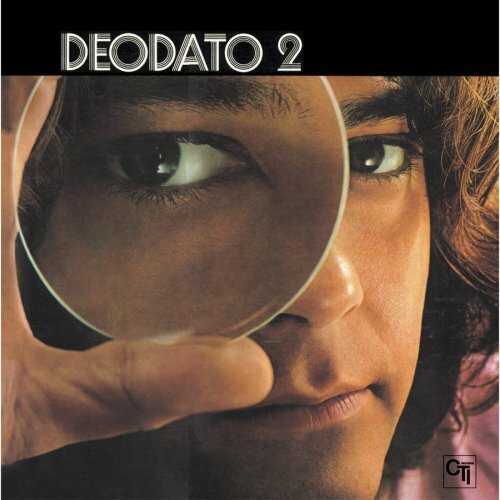 It was just called Deodato 2. The vinyl looked clean and the gatefold album cover was pristine. I cued it up, dimmed the lights and gave it a spin. On yet another record label I am unfamiliar with, Creed Taylor Incorporated (CTI) Records, this LP has five songs total, three on side A (including a killer interpenetration of Nights in White Satin) and two on side B with a listing for Rhapsody in Blue. From the first track, I could tell there was something off. Unfortunately, this record had been played with a damaged stylus at sometime in its life, and had a pronounced sibilance running through each song. What a shame! The sound from the record was big, bold and fun! But side B was the WTF side. Track 1 was called Super Strut and track 2 was the aforementioned Rhapsody in Blue. It turns out the Super Strut was used in Grand Theft Auto – Vice City (my only XBox game) and Rhapsody in Blue was used in early 1970s Pontiac commercials. Go figure. I’ll definitely be looking for a replacement copy of this LP.